Nomad is a company that we’ve had quite a bit of experience with. It’s been almost a year since we’ve reviewed Nomad products. They are a company that builds for those “seeking adventure.” We have three different products that we’re reviewing for you today that are ruggedly made for the adventure seekers. This clear protective case has a real, quality leather case crafted by Horween. The leather has the distinct aroma you would expect a leather product to have. The inside of the leather cover has slots to hold six cards, and one for cash. Who needs a wallet anymore, when you can hold it all with your phone? The clear, polycarbonate material has a slim design, and wraps around your phone to keep it well-protected. It has a 6 foot drop protection. 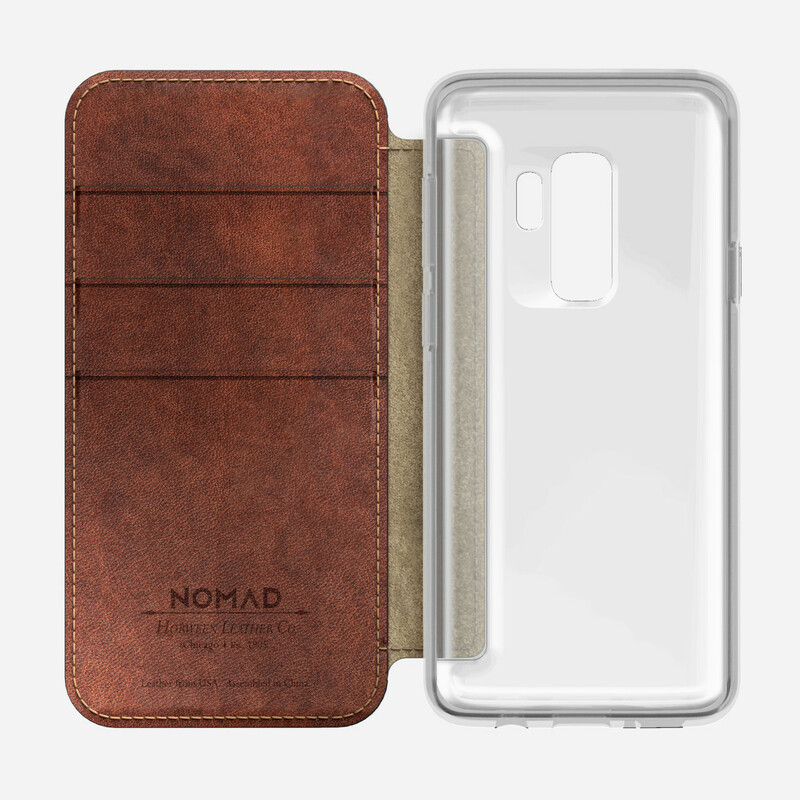 If you want to purchase this case, it’s $49.95 on the Nomad site. Need a stand to wirelessly charge your phone? 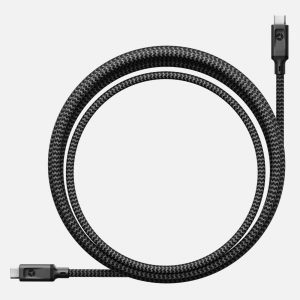 This one can do it in two positions- standing up, or flat on a surface.It has a non-slip rubber base for added stability, and charges at a 7.5W. The aluminum kickstand tucks right under the product when charging your device on a flat surface. 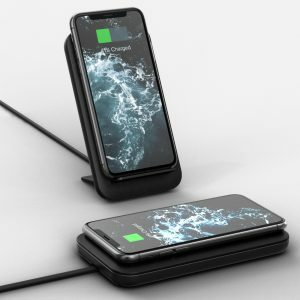 This product also has a leather surface, and can charge all iPhones and Android devices that have wireless charging capabilities. We think that this is a quality product, and it can be purchased on the website for $59.95. Nomad sent us these products for free to review in exchange for our fair and unbiased review. No other compensation has been given. Photo credits go to Nomad.